At least you Northerners were able to vote 8 times. Aussies got screwed again by bad programing/design. This game is starting to get a damned bit more annoying than enjoyable. no you can't have my stuff leeches. Woo, Bareeds, you are number one in my heart baby. this is bs, nowhere in the description it said, that u have to vote the same npc 8 times. pls fix this kakaogames, you're making me mad. It's that time of year again when people start craving chocolate and flowers, and we're looking to celebrate Valentine’s Day with two special events! On Valentine’s Day, Feb. 14th, we have prepared a fireworks show for everyone to enjoy! You are invited to join us in Calpheon City to see the show at the following times. Get out there and craft your very own Valentine's Day Chocolate! 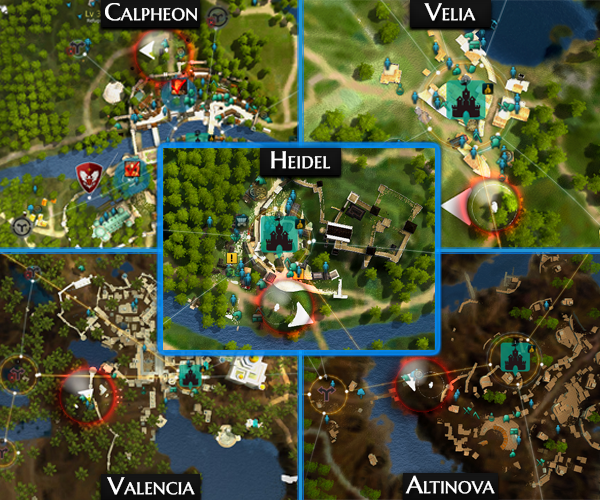 Gift it to the NPC of your choice from a selection of assembled NPCs in five major cities: Velia, Heidel, Calpheon City, Altinova, and Valencia City. 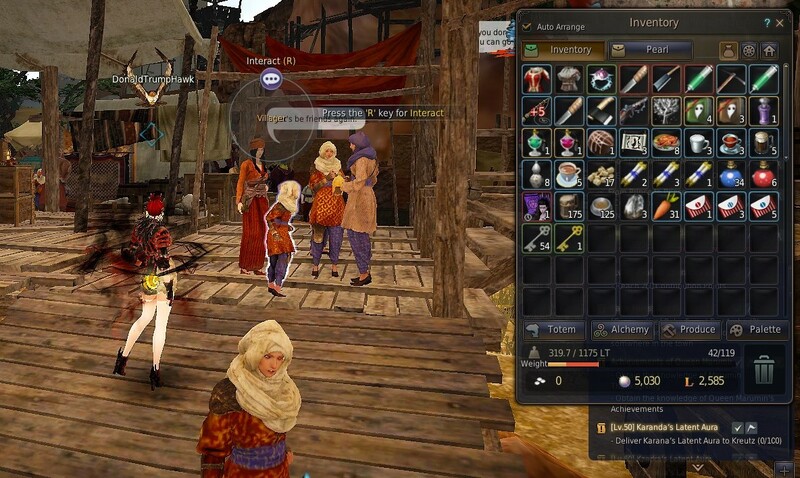 Players can use the chocolate to cast their vote on a popularity contest for these NPCs. 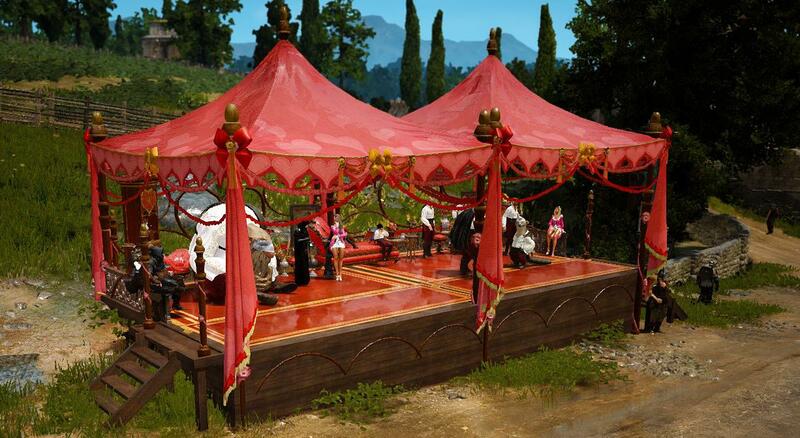 Casting your vote on the most popular NPC (determined by player votes) will give you a shot at winning the grand prize! Players will need to purchase a single [Event] Cacao Seed Bundle Item from the loyalty portion of the pearl store, additionally they will need to purchase a [Event] Fence Item. * There is a limit of 1 Seed Bundle during the first week of the event. Once these have been obtained, simply plant the [Event] Cacao Seed Bundle Item inside the special event fence as you would do with normal farming and await the completion of the growth cycle. Once fully grown, harvest the Cacao Tree to obtain a [Event] Cacao Item, and use Processing [Grinding] (L) to turn the item into [Event] Cacao Powder. Now that you’ve successfully turned the item into [Event] Cacao Powder, visit a nearby merchant to purchase (2x) Mineral Water, and (1x) Sugar. After which use simple cooking (L) to produce (1x) [Event] Chocolate. Players will need to use the [Event] Chocolate to cast their vote for the popularity of one of the pre-selected NPCs at the entrance of a major city. Once you’ve successfully cast your vote on one of these NPCs, you will receive a thank you letter that you must keep safe during the full duration of this event. * Please note if this item is deleted or lost your vote will be lost unless the item is restored. After the first week of the event, the mid term results will be shared in a forum post with the community so players are able to see which NPCs are currently most popular. During the second week of the event players will be able to purchase a single [Event] Cacao Seed Bundle Item per day, to create a voting chocolate with, following the above steps in [Part 1]. At the end of the event, player votes will be tallied up based on their maximum number of votes casted for a specific NPC into one of four categories. Players who cast three or more votes for their selected NPC will have a chance to win additional prizes (beyond the participation prize) if their selected NPC is one of the four categories listed. Please note that phase two is reliant not only on total accumulated votes but luck of the draw as well; 40 players will be selected at random, with ten from each category. * Rewards will be delivered in a future maintenance. yes. im so superpissed now, i feel scammed, im not even in the mood to play anymore. i did this just for the crystals shards basically, i desperately need them as a returning player, you dont even get them in the auctionhouse they are sniped so fast u cant even see it, plus they are "expensive". and farming them is a pain, even with the event on. So I voted 7 times for Patrigio. He won 3rd place on EU. In mail I got all the participation rewards but I didn't get the pet reward. You only got qot a chance at it. With 8 votes to Lara Where is my top prize ? Edit: got the hards/shards now. Jordine will destroy you all. Beware the second coming of Belmorn. Yay! Deve for the life! your top prize is now everyone knows your a pedo. I was able to vote 9 times and got participation rewards for eight letters. I did vote for three different NPCs. So for me it appears to have worked. Congratulations to the RNG winners. Same here, wasn't allowed to hand in the last one. We still have the event fences by the way. Congratz to all the other winner! ... wow! You were fast. I LOVE people with PREJUDICE! The Splooshiest of them all. I think you did something wrong or miscounted? My guildies said they weren't able to vote that 9th time. No you could have voted 9 times. Ok so I just got done speaking with our guys, and it looks like there has been a delay in getting the prizes pushed out. The good news is this should be resolved during tomorrows urgent maintenance, so hang tight and we'll get you squared away. So you should definitely have them tomorrow! @CM_Aethon now that the prizes have been fixed can we delete these letters now?